The local used book store, Homestead books in Marlborough NH, has an incredible selection of vintage science books. I picked up a copy of “The Conquest of the Moon” by Wherner von Braun, Fred L. Whipple, Willy Ley and edited by Cornelius Ryan. 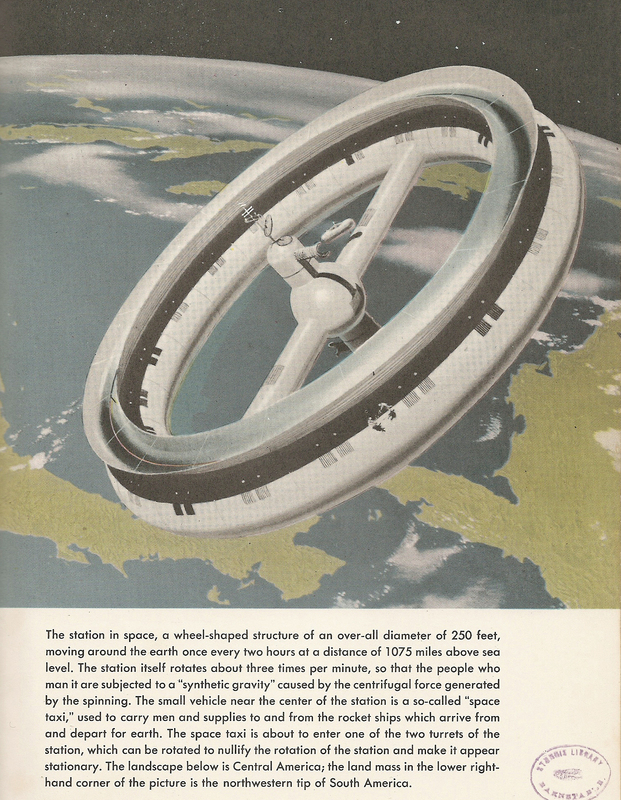 This 1953 book is filled with details about how the United States will not only travel to the moon, but also colonize it. The book reads like a master plan, there is even a detailed appendix with information such as the performance data on the landing operation, the take off from the moon and settling into space orbit. Written to interest the public in space, reading these extra details, such as the need for 150 second burn time to take of from the moon, made the “conquest” appear possible. My mother remembers reading in a text book as a child ,in the 1930’s, the fact we could never travel to the moon. It was seen as fantasy, and scientific reasons were given as to why anyone contemplating it was not a scientist. 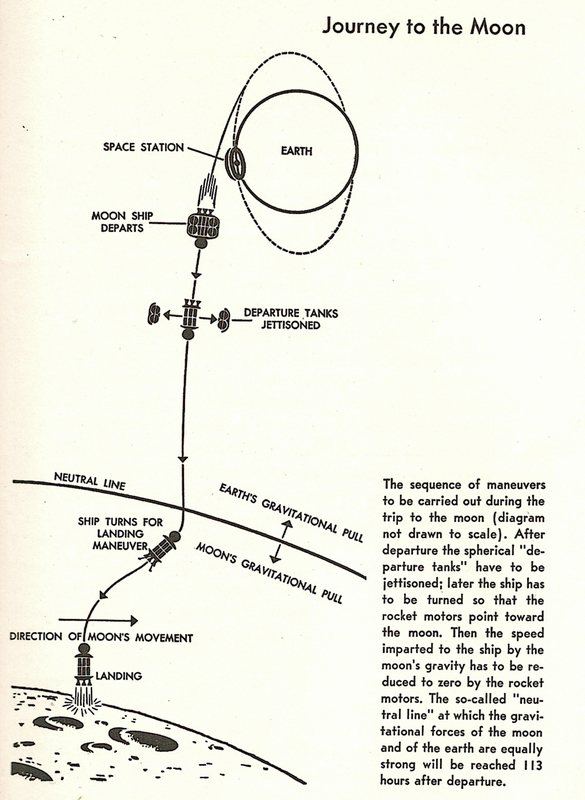 Like perpetual motion machines, traveling to the moon was deemed “Impossible”. 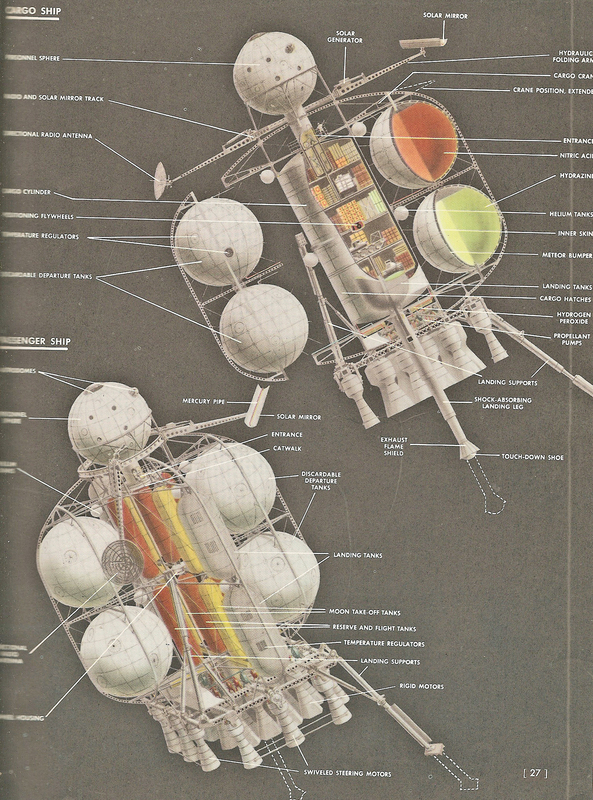 This book with detailed drawings and diagrams, surely was written to show it was not only possible, but already all planned out by our top rocket scientist. There is a naked man in the shower area! Twenty-five years was not the time needed to reach the moon, it was only sixteen years later the moon was reached. Sadly, the rest of the promise of a moon base and a permanent population was over far before the end of the century. 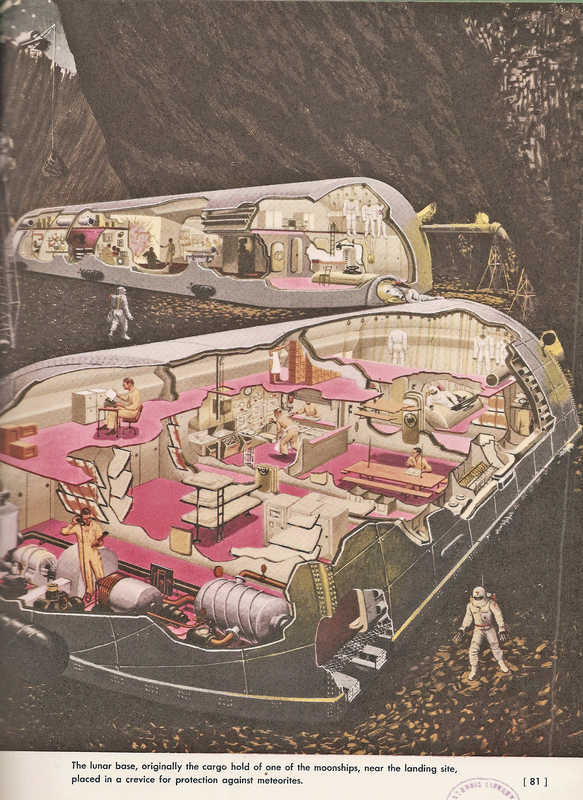 I’m not sure why pink was chosen for the interior, but I would enjoy a stay at this moon base. « Vintage variety in space travelers, male and female! That’s back when people believed the moon was made of green money. Some of the art looks like work by the great science illustrator Chesley Bonestell. 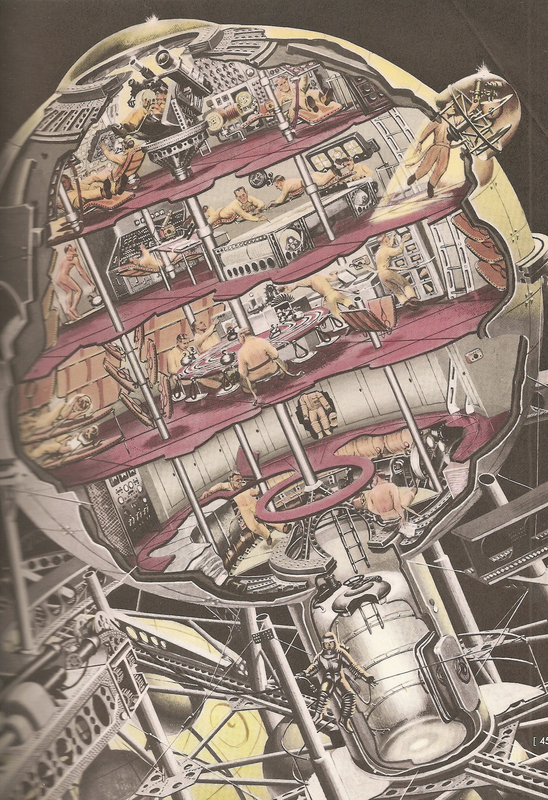 Von Braun wrote and Bonestell illustrated, a series of articles for Colliers Magazine on space travel. I saved every one when I was a kid. Wish I still had them.